Wehbba has been an active producer for the past 8 years, and has developed a very distinct style, marked by stellar production skills. His achievements as a producer can be measured by the number of respected artists who he's worked over the years, either remixers, remixees or collaborators. Although notably and actively working with swedish legend Christian Smith, the list can be extended to the likes of Laurent Garnier, Robert Babicz, Bushwacka!, X-Press 2, Carlo Lio, Chris Lake, Samuel L Session, Funk D'Void, Sharam Jey, Valentino Kanzyani, Stephan Bodzin, 2000 And One, Oliver Klein, Kolombo, Mihalis Safras, Joseph Capriati, Coyu, Julian Sanza, to name only a few. His productions have been featured on labels like Tronic, Bedrock, Toolroom, Soma, 100% Pure, Audiomatique, Skint, Trapez, Material, Missile, Suara and many others. 'Full Circle', Wehbba's first album, released by Tronic Music in 2010, was the landmark which set Wehbba's career off to a whole new level, reaching outstanding media success as well as sales and DJ support. 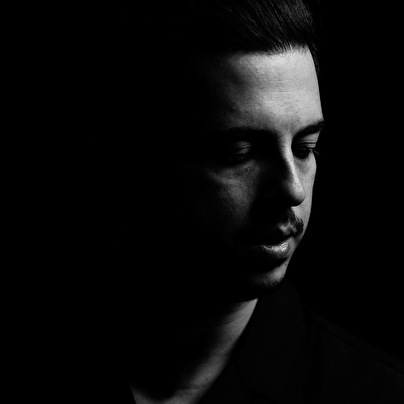 Over the following years, he's been granted numerous spots at charts of portals like Beatport or Resident Advisor, the latter featuring Wehbba as the 52º most charted artist in 2011. Early 2012 sees the launch of Wehbba's 'Sound Perspective' show, a monthly podcast featuring the hottest new productions around, as well as some all time favorites, ranging from deep house to techno. The show is syndicated on Digitally Imported (di.fm) and on 432.fm, ID&T's Nachtlab radio station, and it's also available for downloading and subscribing via iTunes. Na "Omakase" komt het label Tronic nu met "Square Two". Wehbba bewijst hiermee definitief zijn status als gearriveerd producer. 12 tracks met een vol en divers geluid. Check it out. Inmiddels een half jaartje verder, waar blijft ie?